Attention deficit hyperactivity disorder (ADHD) is a neuropsychiatric condition characterized by symptoms including impulsiveness, inattentiveness, and hyperactivity. These symptoms are particularly common in all children at some stage of their growth. However, their intensity and persistence over a lengthy period of time signals a warning bell. Attention Deficit Hyperactivity disorder (ADHD) is a neurodevelopmental disorder, characterised by a wide range of behavioural symptoms which include hyperactivity, lack of attention or concentration and a tendency towards impulsive behaviours. 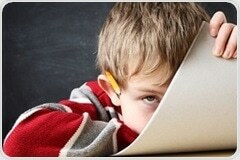 Attention deficit hyperactivity disorder, or ADHD, is a disorder that begins in childhood. It usually persists for years and results in significant deficits in cognitive, academic and social development. it is found to occur in about 3-7% of children, and persists in 36-60% of them into adulthood for an overall adult prevalence of about 4.5%. Attention deficit hyperactivity disorder (ADHD) is a psychological disorder commonly observed in children, and often in adolescents and adults. The neural network of the brain of an ADHD patient functions in a different manner. The frontal brain portion is found to be significantly underdeveloped in several cases of ADHD. Imbalances in the levels of neurotransmitters have also reported. Attention deficit hyperactivity disorder (ADHD) is a mental health condition characterized by impulsive behavior and an impairment in executive functioning (the ability to plan, prioritize and organize).